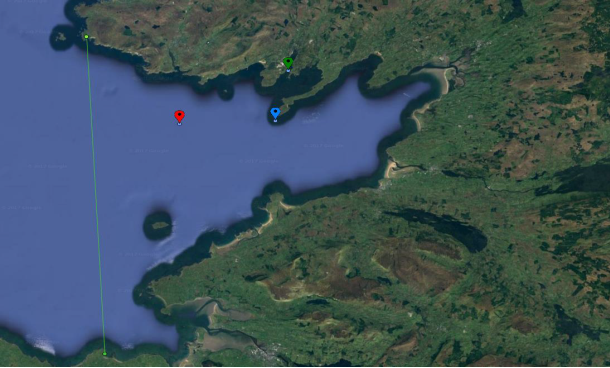 The Department of Transport, Tourism and Sport has been advised that TechWorks Marine are planning on deploying three trawl-resistant bottom mounted ADCP* (Acoustic Doppler Current Profiler’s) frames in Donegal Bay at three locations. The frames will be on the seafloor between March 2017 and June 2017. 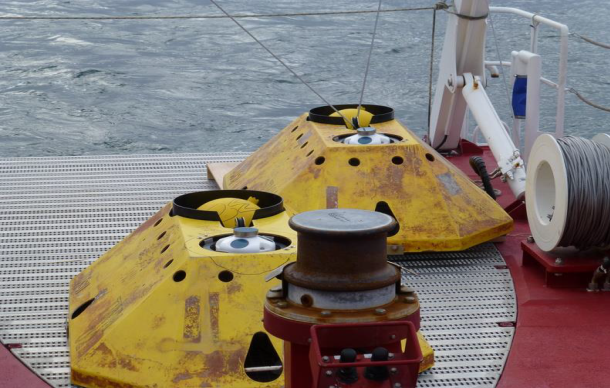 These frames are being deployed as part of the oceanographic monitoring for the Department of Agriculture, Food and the Marine. The approximate commencement date of the deployment is 27 March 2017. The frames will then be left in the water for a minimum of one month before being retrieved. Please see below, a map of the frame placement points A, B and C.
The vessel Dulra na Mara, Callsign: EIFS6 will be used for the deployment and collection of the frames. The frames are 2m x 1m and will remain on the seafloor for a period of up to 90 days after which the frame will be retrieved by the acoustic release by the retrieval team of a pop-up buoy allowing for its recovery. There will be no surface marker during the extent of deployment so vessel traffic will not need to avoid the area but should be aware of its presence. The green line delineates the sites of the two tide gauges that were installed on the 13th and 14th of March. *An acoustic Doppler current profiler (ADCP) is a hydro acoustic current meter similar to a sonar, attempting to measure water current velocities over a depth range using the Doppler effect of sound waves scattered back from particles within the water column.